This entry was posted on Sunday, April 28th, 2013 at 4:45 pm	and posted in faith, Family. You can follow any responses to this entry through the RSS 2.0 feed. 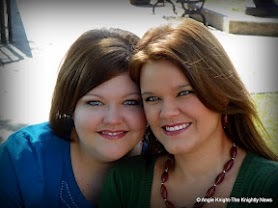 Asking God to bless you, and your precious daughters abundantly. I love you. My first time here, I came to you through the SUM blog. Your words were some greatly needed encouragement for me today as I wait (going on year 3) for my son to “come Home.” Thank you.